The London Cheese Project is a collaboration between leading figures from the British cheese community who have joined forces to celebrate real cheese. We began in 2017 with the aim of educating people on the many advantages of real cheese, and creating opportunities to connect with and learn from the people who make our food. 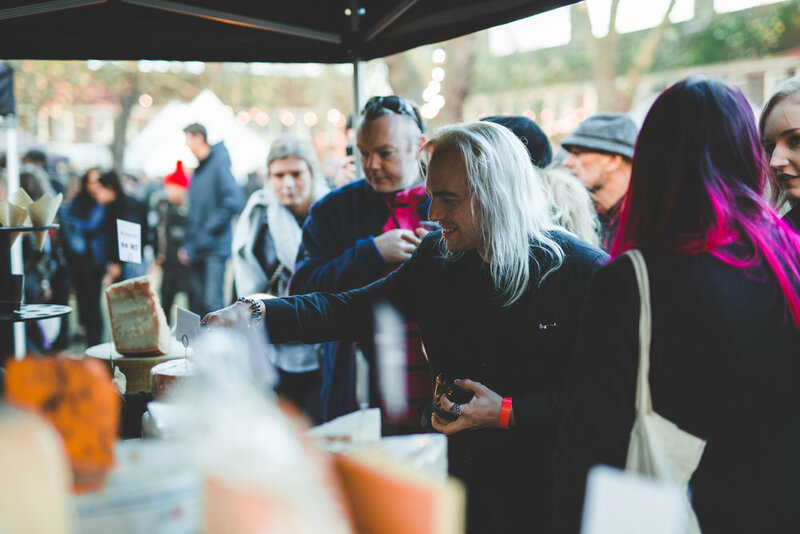 The London Cheese Project is committed to delivering high-quality, curated events. 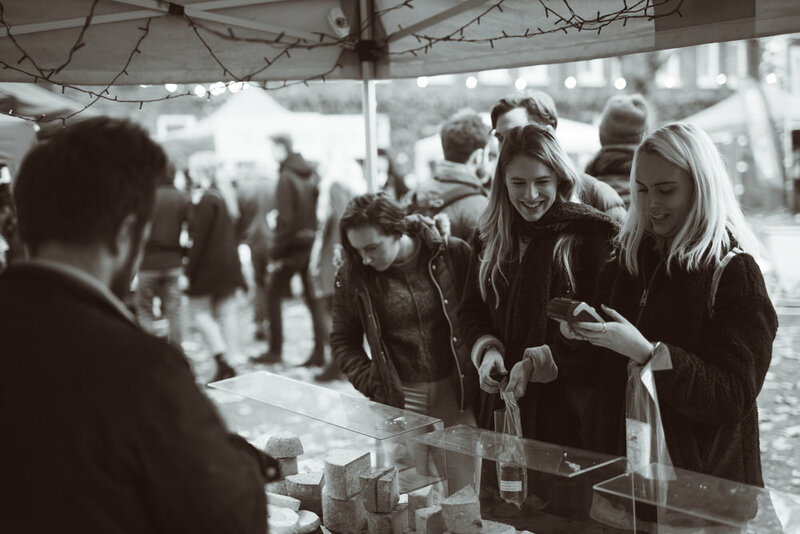 – Our cheese makers, mongers and traders are among the best in the UK, and are selected on their commitment to high quality produce, as well as their knowledge and understanding of their products and the wider industry. – The capacity of our events is limited to ensure attendees have ample opportunity to interact with traders and producers, and attend talks and tastings small enough to facilitate open discussion. – Our ticket prices are kept as low as possible to ensure our events are accessible to a wide range of people. – Ticketed talks are delivered by true experts, and offer a unique experience to attendees. – Free talks are informative, engaging and designed to provide an insight into many different aspects of the industry. – Our beverage offerings are equally important to the event – we prioritise showcasing local and small-producer alcoholic and non-alcoholic brands. Cheesemaker Kristen Schnepp set up Gringa Dairy under a railway arch in Peckham in 2013 after realising that cheese was a lot more fun than corporate life. She makes a range of authentic Mexican cheeses, such as Queso Fresco (a kind of cross between feta and halloumi), Queso Oaxaca (a great melter) and Queso Chihuahua (Mexican mozzarella), using organic milk from Kent. Mathew Carver is the founder of The Cheese Truck, serving epic grilled cheese sandwiches from two converted 1970s Bedford ice cream trucks, called Audrey and Alfie. In 2017, he opened a permanent restaurant in Camden Market called The Cheese Bar, serving cheese-focused dishes using exclusively British cheese. Patrick McGuigan is a food journalist and cheese writer, who writes for The Telegraph, the Financial Times, Shortlist and Restaurant, among others. He hosts regular talks and tastings on cheese and is a senior judge at the World Cheese Awards. In 2017, he became one of the first people in the country to study at the Academy of Cheese.